Today, two top technology providers to the growing ecommerce and multichannel B2B and B2C merchant market — VL OMNI and ShipStation — have announced their official partnership. 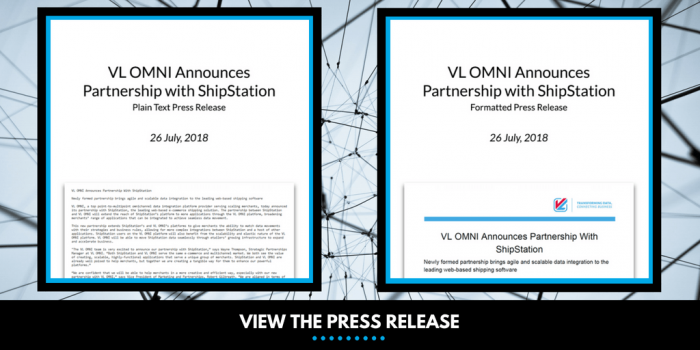 Aligned on providing strategic tools to the rapidly growing merchant community in North America and beyond, both VL OMNI and ShipStation are centered on providing effective and efficient tools for commerce. Together, the partnership will allow merchants using ShipStation to integrate with a wider range of applications via the VL OMNI platform, allowing merchants to fit their integration strategy to their broader business strategy and goals. With agility and scalability at the heart of the VL OMNI platform, merchants can also integrate their data in ways meaningful to them, including moving order data in real-time, moving data from a single application to many in a single movement, and apply business rules directly to the automated data movements. 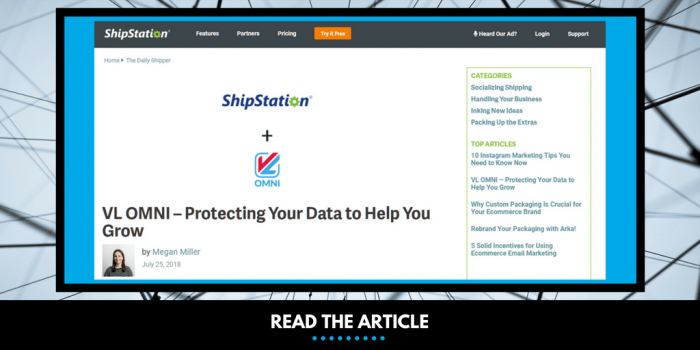 ShipStation, as the leading web-based shipping software that helps online retailers streamline their order fulfillment wherever they sell and however they ship, is a perfect alliance for VL OMNI. 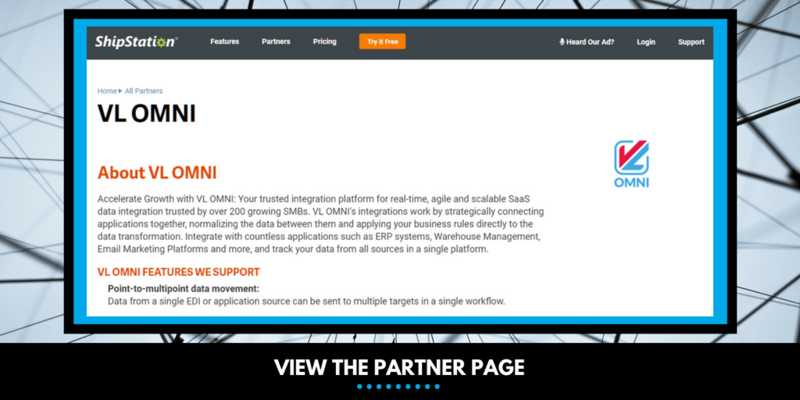 With their features including order importing from over 90 selling channels, auto-selecting shipping preferences, custom fulfillment rules, multi- carrier label creation (for over 30 carriers including USPS, UPS, FedEx, DHL), automatic shipping confirmations and more, VL OMNI is excited to help ShipStation merchants expand their reach and efficiency via data integration, as well as help ShipStation reach even more merchants looking for incredible shipping software via having a high-quality integration partner at the ready to help merchants succeed on the platform.